This Slim Pocket Clamp Meter MS-37A “MEET” brand 1000A AC, True RMS slim pocket clamp meter. NCV & Single probe test, 2000 count display, 600V AC-DC voltage, Resistor, Diode, Continuity check, AUTO power off Gift Box. 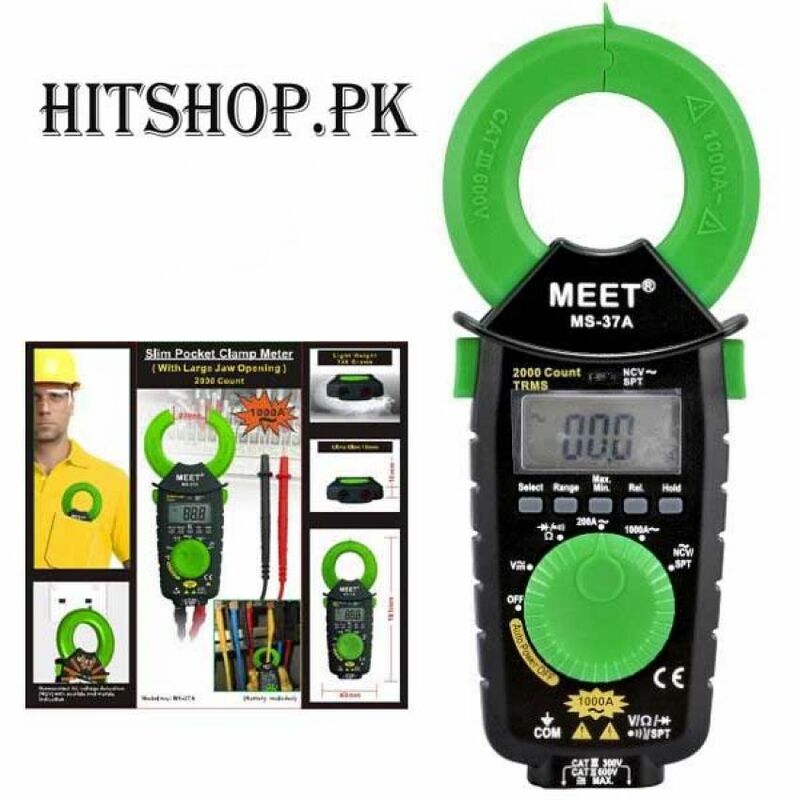 You are looking Buyteleshop.com now latest Slim Pocket Clamp Meter MS-37A 22/04/2019 price in Pakistan market 2018 including in all major cities of Pakistan,Slim Pocket Clamp Meter MS-37A Price in Karachi, Slim Pocket Clamp Meter MS-37A price in Lahore ,Slim Pocket Clamp Meter MS-37A in Islamabad, Sialkot, Faisalabad, Peshawar, Quetta, Multan, Rawalpindi,Sialkot,hyderabad, and many more cities.